[/caption] Big galaxies… Little galaxies… But how often do they meet? 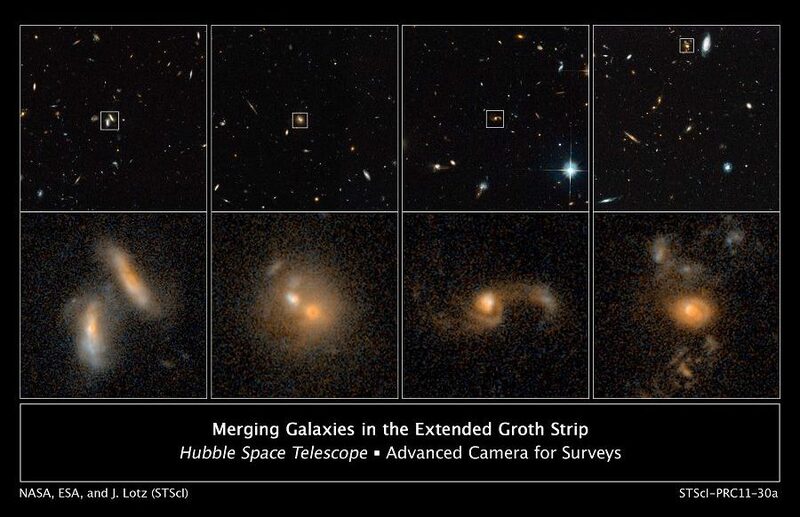 Thanks to information from some of the latest Hubble surveys, astronomers have been able to more closely estimate galaxy collision rates than ever before. Apparently those that have happened within the last eight to nine billion years have occurred somewhere in-between previous estimates. When … Continue reading "Determining The Galaxy Collision Rate"